Bask in Tropical Luxury Just Steps from the Sapphire-Blue, Crystal Clear Waters of Stunning Ulua Beach . . . 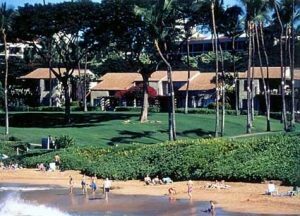 Ideally Located on the Sunny South Shore of the Elegant Wailea Coastline. Welcome to ‘Paradise Found’ . . . At the Award-Winning Vacation Destination Masterpiece of the Elewa Resort. 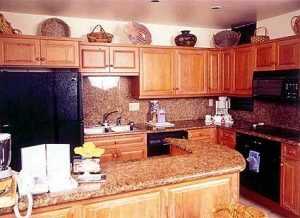 Set on 24 Lush, Emerald-Green Manicured Grounds, Enjoy Breathtaking Views and the Sound of the Gentle Surf from the privacy of your own l-Bedroom, 2-Bedroom or 3-Bedroom Stunning Maui Condo Rental . 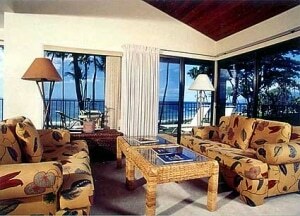 . . On your own Private ‘playground’ within Maui’ s premiere Resort Destination Vacation Getaway of Elegant Wailea. 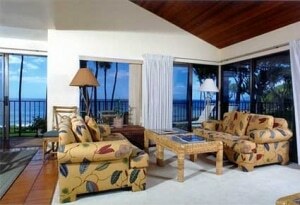 Pamper Yourself while Relaxing in Style from your Luxuriously Appointed Maui Vacation Condo Rental . . . Soaking up the Lush Tropical Splendor from the Privacy of your own Double-Sized Tiled Lanai while enjoying another Spectacular Maui Sunset! Framed by Lush Tropical Grounds and Swaying Coco Palms ‘dancing’ in Harmony with the Gentle Trade Winds and the Sparkling Blue Pacific, your Luxurious Oceanfront Maui Condo Rental Showcases the Distinguished Amenities you’d expect from this World-Class Resort Sensation: Elegant Furnishings Featuring a Contemporary Hawaiian Decor, Vaulted Ceilings (many Units), Central A/C, Gourmet Kitchens featuring Granite Counter-tops, In-Suite Washer/Dryers, Daily Housekeeping & Concierge Service. 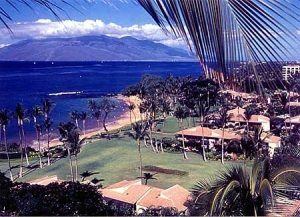 Your Wailea Resort Vacation Destination Getaway – Geared towards the Discerning Traveler – Showcases Scenery so Stunning even the Whales Jump up for a view and the Frolicking Sea Turtles relax on the Golden Sands! The Crystal Clear Waters of the Blue Pacific Beckons your call to the Mile-Long Golden Sandy Beach . . . Simply Ideal for Swimming, Snorkeling, Windsurfing & Sailing . . . or Just Relaxing in the Warm Tropical Sunshine. Stroll the Resort’s Magnificent Grounds, take a swim in our Oceanfront Pool, then enjoy your own Beachside Pavillion with Barbecue Facilities for private entertaining. Additional Amenities for your Vacation Pleasure Showcase Paddle Tennis, Whirlpool Spa, Putting Green and 54 Holes of Adjacent Championship Golf. For the Tennis Enthusiast, serve up an ‘ace’ at the adjacent tennis club, where three of the 11 courts are lit for night play. At Day’s end, take a leisurely walk on the Beach while enjoying another Spectacular Maui Sunset . . . framed by the Isle of Lanai. World-Class Shops & Restaurants are Just Moments Away. Welcome to your own Award-winning Resort Vacation Masterpiece Set on the Magnificent Wailea Coastline of Ulua Beach . 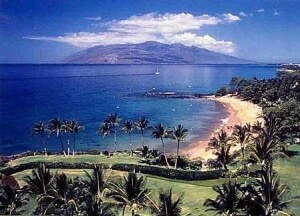 . . A Destination Sensation for the Upscale Traveler accustomed to the Best on Maui’s Sunny South Shore . . . at the Stunning Elewa Resort. Reserve your Spot in Paradise Today! 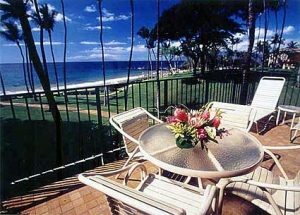 Your Luxurious Beachfront South Shore Maui Vacation Destination – Located in Prestigious Wailea – Features your choice of Stunning l-Bedroom Maui Condo Rentals that accommodate 4 people; Luxuriously Appointed 2-Bedroom Maui Condos that sleep 6 Guests; Or Spacious 3-Bedroom Maui Vacation Condo Rentals that accommodate 8. All Linens & Towels provided. World-Class Shops & Restaurants Just Moments away.